The New RACEceiver LapCeiver A.L.T. (Audible Lap Timer). The LapCeiver A.L.T (Audible Lap Timer) is a device that allows you to get your lap times in the palm of your hand, or on your dash. You can see the laptimes on the large LCD display and hear it audibly using a separate earpiece (not included in the package). You can even choose to have the LapCeiver A.L.T. tell you if the current lap is faster than the previous laps. The LapCeiver A.L.T has 2 Modes of Operation. Transponder Mode – This mode works with a Timing & Scoring System and the transponder that you have on your car. 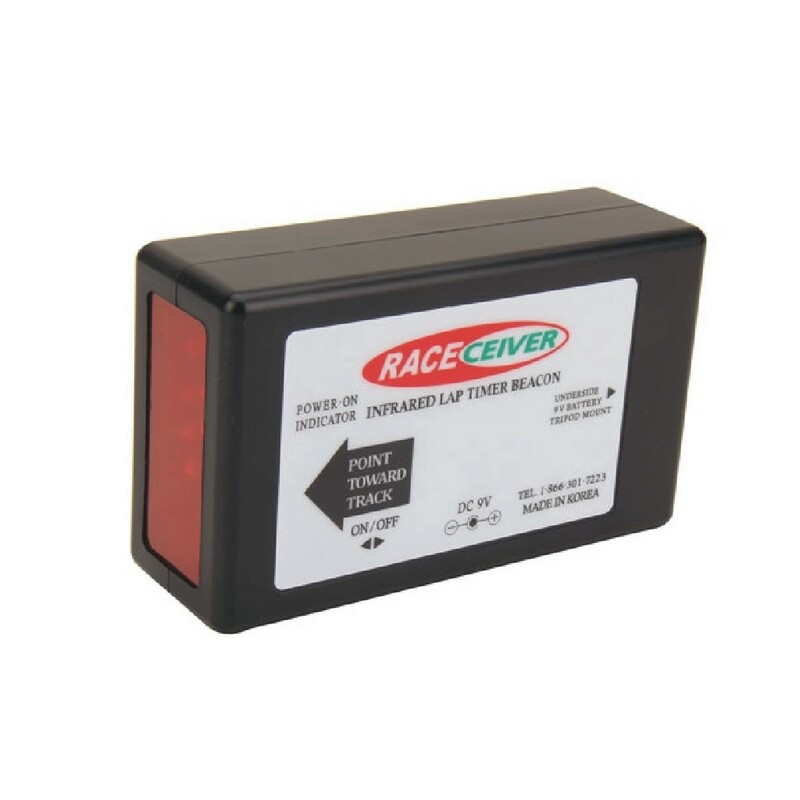 The transponder sends a signal to the Timing & Scoring System that your track is using and a LapCeiver transmitter connected to that system sends the same signal to the LapCeiver A.L.T. You can input the serial number of up to 5 transponders into the LapCeiver A.L.T., one in each of the 5 memory banks. Each memory bank will hold up to 500 laps. Infra-Red (IR) Mode – This mode works with an IR transmitter that is set up across the track. When your car passes through the beam, the Infra-Red Detector, mounted on your car and connected to the LapCeiver A.L.T., detects the beam. It then sends it to the LapCeiver A.L.T., triggering the timing, which shows up on the display. In this mode you use one memory bank at a time. The display shows your lap times as you race much more accurately than hand held stopwatches. You see your times on the track and you can try different driving styles or different lines to get the quickest times. Times are stored and can be recalled once you are back in the pits. Compare your lap times before & after changes made during practice. The LapCeiver A.L.T. comes with a IR Detector, IR Transmitter, Reverse Splitter, Holster to protect the screen and USB cable to connect to your computer. If your track uses the RACEceiver Timing & Scoring system, let them know about the new RACEceiver LapCeiver A.L.T. and we will send them a transmitter at no charge. Register your LapCeiver A.L.T. online to get the necessary software and drivers (Available soon)…it’s will be free with your LapCeiver A.L.T. purchase.